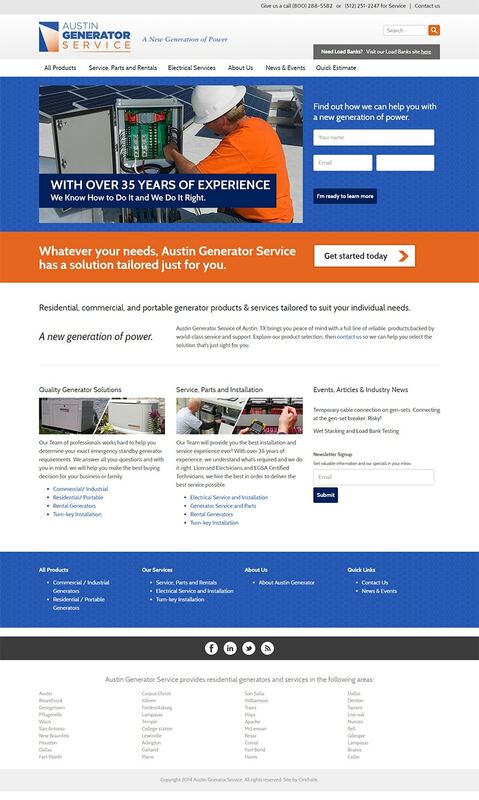 Austin Generator provides emergency power solutions to residences and businesses throughout Central Texas. This particular client presented a unique challenge: design and implement a website and new branding package that would support a future merger. The solution I came up with was to completely overhaul their existing website while thinking ahead to bring two separate companies’ branding together in one cohesive design. 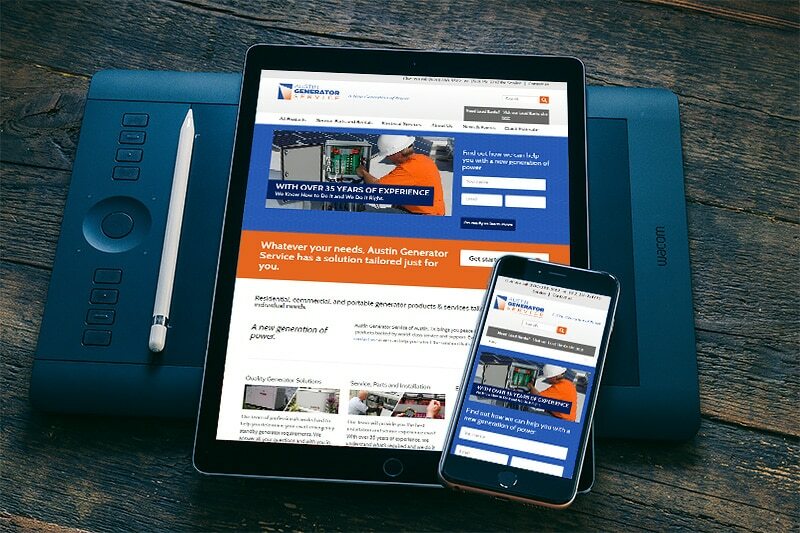 The result was two beautiful complementing sites, Austin Generator and Load Banks of America, ready and waiting to meet the client’s very specific business needs. Each site features responsive design, content marketing capabilities (blog), and search engine optimization (SEO).